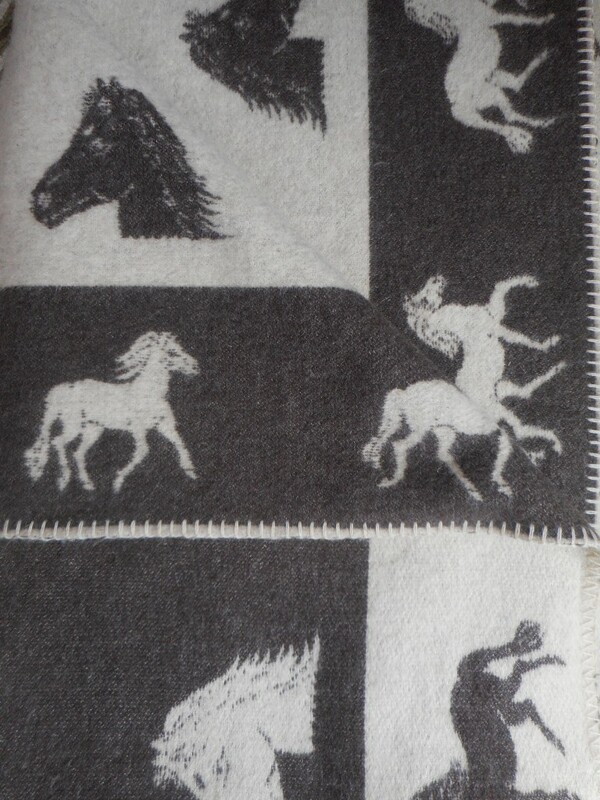 Wonderful wool blanket depicting horses on both sides in brown and neutral colors and bound edges. Measures 62" x 76". Attributed to a Buell.